Software Testing in IT industry is a technical and highly rewarding career. Competitive pressure worldwide has forced companies to deliver quality software right the first time. This has created a huge demand for software quality professionals. Lack of employable people with requisite skills and knowledge has created the need for training in software quality. 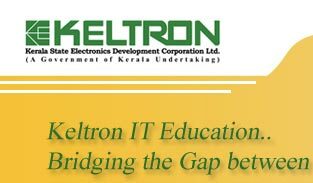 KELTRON’s course has been designed in consultation with industry and taught by a team of thoroughbred professionals. We are providing industry ready test engineers and fulfill the critical void in the industry. The new trend is that companies are also considering non technical graduates for manual testing jobs. Placement opportunities are in many companies in Kerala, Chennai and Bangalore.